With the World Cup over, both El Tri and La Celeste come into the 2022 cycle without a whole lot of urgency. Their first non-friendly fixtures of the cycle will not take place in 2018. They may not even take place during the first third of 2019. Both teams’ decisions to take on caretaker managers to handle the slate of games that could appear to many like academic exercises executed without reason other than to do the exercises. But the continuous temporal logic of the fixtures eventually leads to the “live” major games, something that will happen sooner in terms of the number of matches than many managers would otherwise hope for. And so, when sides led by Ricardo “Tuca” Ferretti and Fabian Coito play against each other, they will do so knowing that the data their federations’ scouting and tactical departments could take will almost certainly have implications even beyond those of hiring (or retaining) a permanent manager. Some may certainly see “Tuca” Ferretti’s double appointments with Tigres UANL and with El Tri as evidence of instability, while others could certainly take their time to argue that Liga MX’s near half-century chokehold over the power of the FMF’s decision-making creates the environment where the national team manager is double-booked without consequence to his club team. 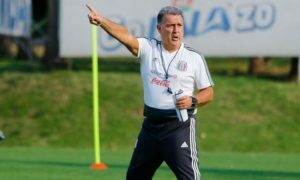 But what few can argue is that the Brazilian-born manager, the longest tenured tecnico at any Liga MX team, has both the person sense to entrust the directors to keep him with the team and a strategic approach that can get his team to focus on and adjust to new opponents quickly, and does not necessarily need to be seen as either too defensive or too idealistic. With this selection at Ferretti’s choosing, the objective in Houston may not necessarily get a win, even though many of the supporters may certainly expect it. 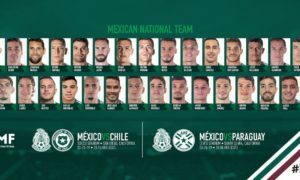 The objective is to examine how many of the team’s emerging players and former seleccion exiles work together with a selected few talismen like ‘Chucky’ Lozano and Raul Jimenez and with each other against a side that is still very good and on an “A”-level competition day, like in a Copa America or FIFA World Cup match, carries the obligation to beat El Tri. But it too must first figure out how to play together and go after whatever El Tri might do in each phase of the match. The Celeste side El Tri face may feature Luis Suarez and a plethora of central and attacking players who are good distributors and movers of the ball, even on the dribble, like the duo of players who have either worn the famous blue and yellow of Boca Juniors like Rodrigo Bentancur and Nahitan Nandez. But those midfielders, and even Santos FC destroyer Carlos “El Pato” Sanchez, who only departed Monterrey this summer, and strikers, do not necessarily represent La Celeste‘s main protagonist in the match. Before he bowed out of the squad due to an injury picked up this weekend, Cruzeiro enganche Giorgian De Arrascaeta was supposed to be that antagonist to threaten El Tri‘s defending alongside present Arsenal midfielder Lucas Torreira. 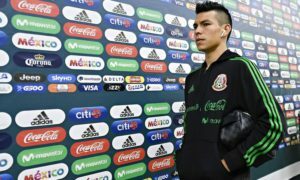 But now, the focus for El Tri shifts squarely onto the Gunners’ 22-year-old central midfielder and his passing and attacking options. That task is one that may see El Tri‘s cast of new defenders, midfielders, and attackers put into positions where they will get a chance to play futbol de calle in wide areas while remaining together in doing so. Central midfielders who are good at tackling and driving the ball forward like Orbelin Pineda and Jonathan Gonzalez will be evaluated heavily even in only the sample space of one game, as will wide players like Jose Abella, Roberto Alvarado, Edson Alvarez, and Gerardo Arteaga. For the fans expected to travel to NRG Stadium in Houston, more is to be expected than simply pragmatism or “three points”. Many do not go to the stadium to see pragmatism without stakes. 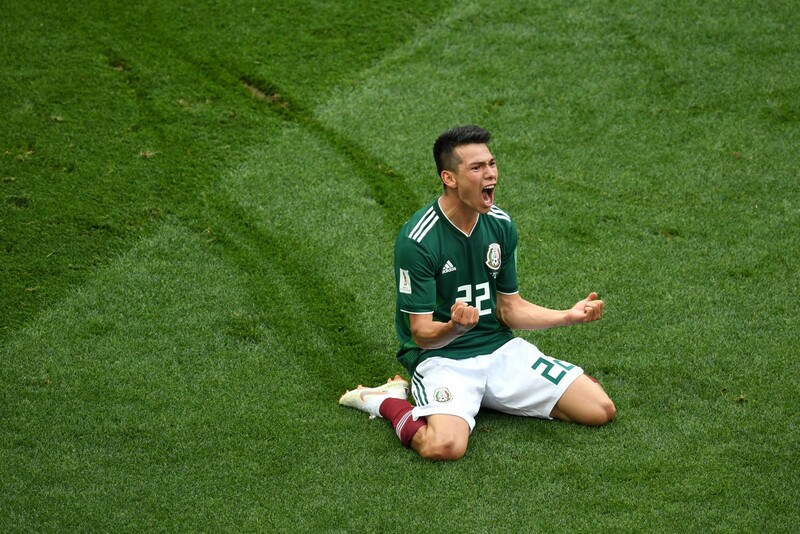 For a game that can feel academic, the fans will want to see the team play with artfulness and wear that artfulness, that initiative as rosaries of their Mexican national pride, whether as motherland or as their current home. The action kicks off at 9:30 PM Eastern DST (UTC -4) and can be seen on Univision and UDN in the United States, and TDN, UnivisionTDN, and Azteca 7 in Mexico. The game can also be seen on TDN in the rest of Central America.